S. Thomas Gagliano, 87, of Red Bank, passed away peacefully Saturday April 13th at home surrounded by his loving family. He returned to New Jersey and Clerked for the former NJ Attorney General Theodore Parsons. In 1960 he joined the law practice of Potter and Fisher, Long Branch. Tom became the Senior Partner of this firm which ultimately became the law firm of Gagliano, Tucci, Iadanza and Reisner. His practice primarily involved representing municipal governments, land use boards and authorities. In 1991 he became Of Counsel at Giordano, Halleran and Ciesla Law Firm and then later became and became Senior Vice President for Corporate and Legal Affairs at EPS Corporation, Tinton Falls. He served as the Oceanport Republican Club president and was a member of the Oceanport Planning Board. He was counsel for the school board during the planning and construction of Shore Regional High School. 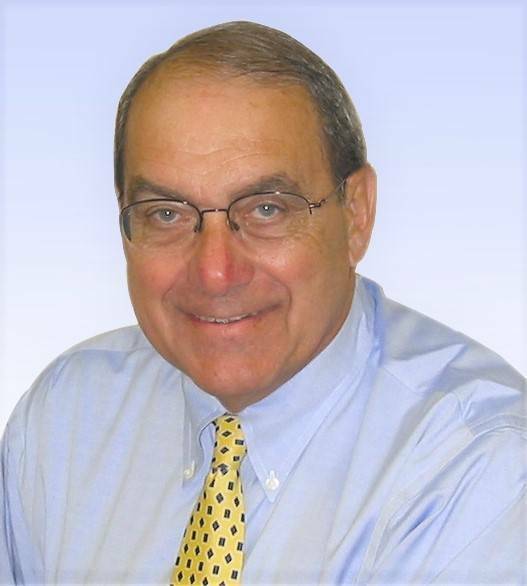 In 1967 he was elected the Oceanport Borough Council. Becoming active in county politics, Tom was appointed to fill an unexpired term for County Surrogate. One year later he won election to the five year term. In 1977, Tom ran for the seat of retiring Senator Alfred Beadleston and won. He served in the NJ Senate for three terms. He was proud of his work with Democratic Governor Brendan Byrne, as well as Republican Governor Thomas Kean. He rose in leadership ranks to hold the top Republican post, Minority Leader of the Senate, as well as ranking member of the Transportation & Communication Committees. Senator Gagliano was instrumental in forming what is now New Jersey Transit, to which he would later be appointed Executive Director by Governor Thomas Kean. In 1991, following a devastating Halloween storm, Senator Gagliano pulled leaders and companies together from the Jersey Shore to form the Jersey Shore Partnership. As the leader of the Partnership, he successfully obtained stable funding from the State, matched by the Federal Government funds for beach replenishment. Senator Gagliano was a proud member of the Amerigo Vespucci Society of Long Branch, of which his father was a founding member and his sons and grandsons are now members. He served on the Board of East Jersey Savings and Loan and was a founding member of the Ironbound Bank. Senator Gagliano was a Founder and Board Member of Futurevision Cable TV, which ultimately became part of Comcast. He was a member of the Harpoon and Needle Club, Long Branch and the Legislative Committee of Meridian Health Care. He also served on the Patriots Alliance, trying to save Ft. Monmouth during the BRAC process. Surviving is his wife, Maria G. Gagliano; four children, Robert and Karen Gagliano, Little Silver, John and Cindy Gagliano, Fair Haven, James and Rozie Gagliano, Essex Fells and Susan Gagliano, Florence , Italy; 11 grandchildren, Alessia, Ceara, Katie, James, Julia, Kelly, William, Sofia, Jeannie, Rozie and Emily. Visitation Tuesday, April 16th, 4 to 8 pm, at the Woolley-Boglioli Funeral Home, 10 Morrell Street, Long Branch. Mass of Christian burial, Wednesday, April 17th, 11 am Our Lady Star of the Sea Church, Long Branch. Interment will follow at Glenwood Cemetery, West Long Branch. In lieu of flowers donations in Tom’s memory may be made to the Amerigo Vespucci Society, 286 Willow Avenue, Long Branch, NJ 07740 or the Meridian Health Care Foundation, 1340 Campus Parkway, Building C, Unit 4, Neptune, NJ 07753. To send a message of condolence or share a favorite memory please visit Senator Gagliano’s page of tributes at www.woolleyboglioli.com.